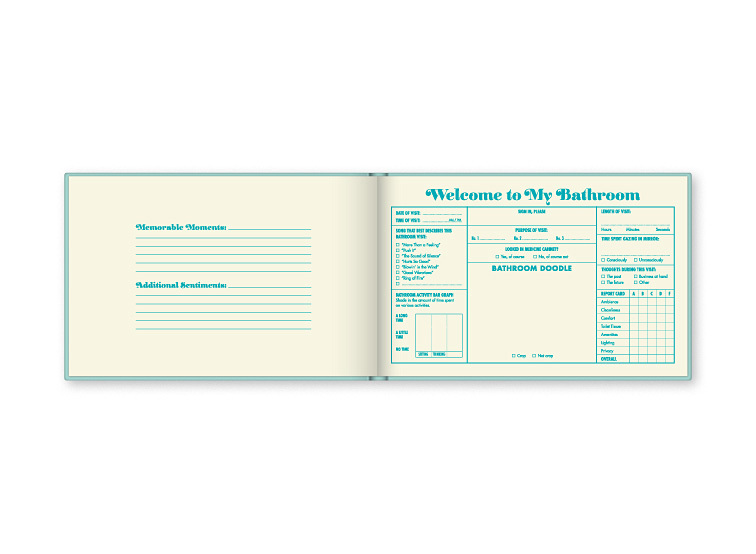 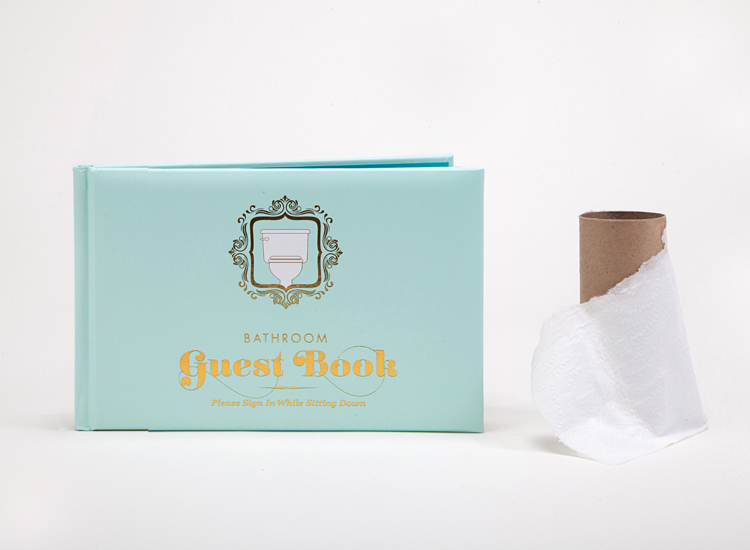 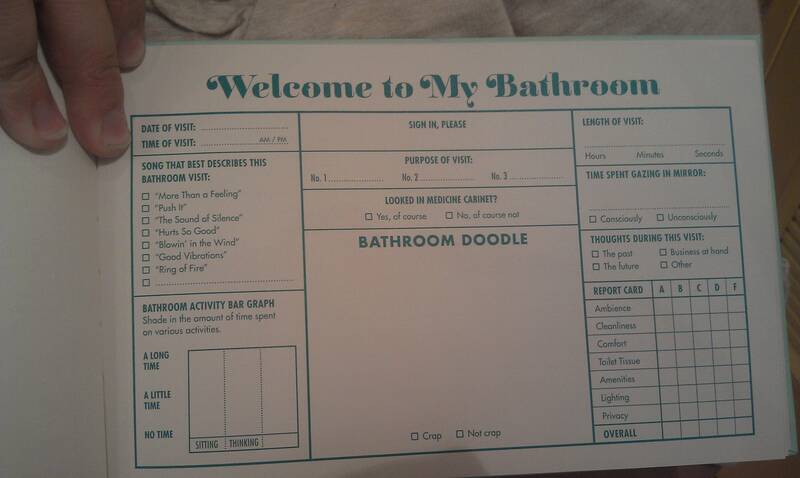 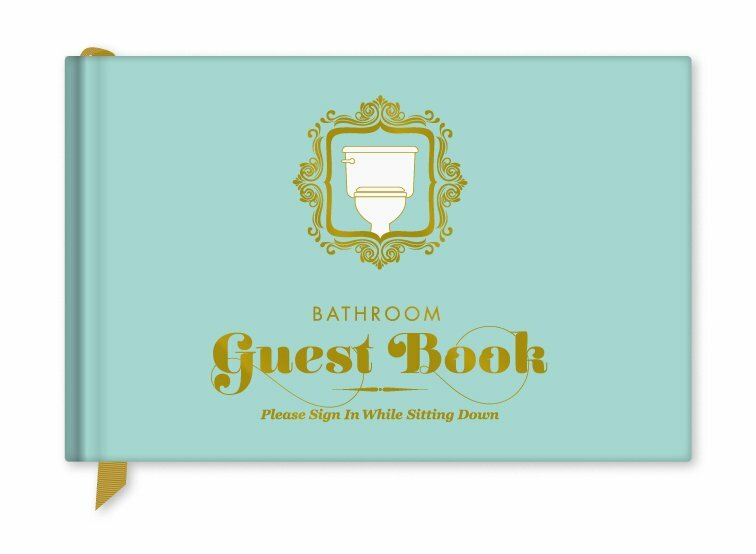 Knock Knock’s Bathroom Guest Book provides a fun activity for when you’re engaged in another activity. 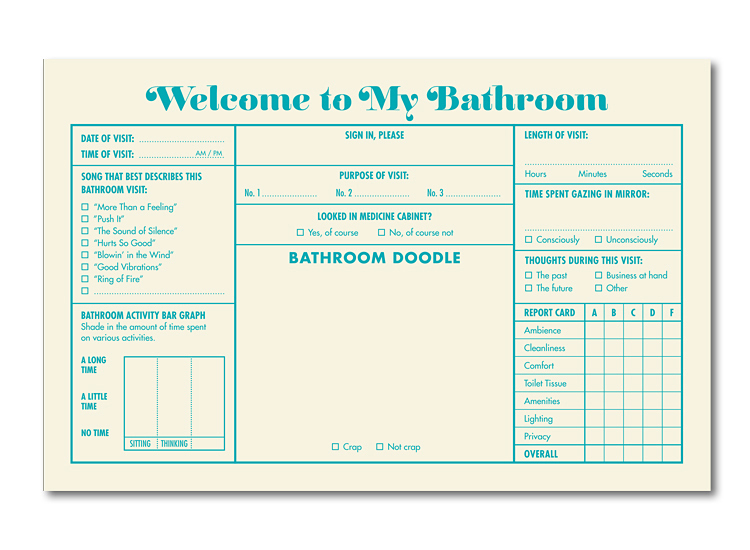 Rate the bathroom, describe your visit with a song and more. 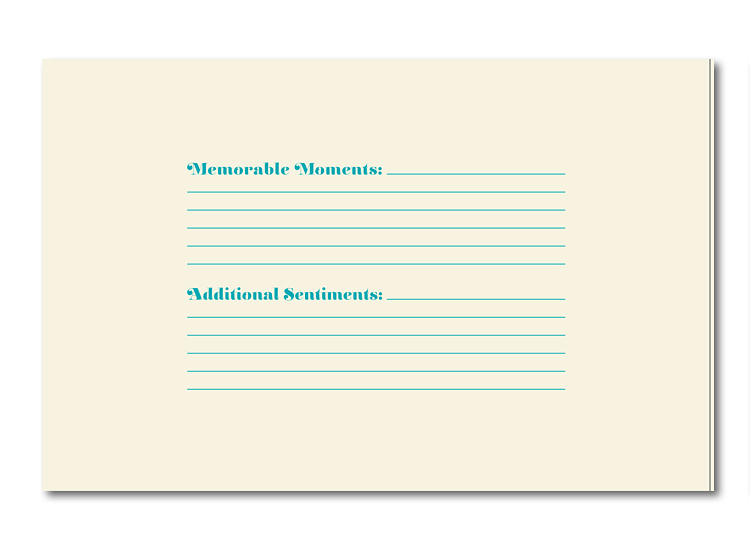 Check out a large image of the activity page here.